Tourist Info Serra has attended 1651 people during the 2018 since it reopened its doors, the month of March. A number of attentions to be added to more than 400 that were made during the three days of the fair of the Regions to the “Plaza de Toros Valencia”, the first weekend of May. And also the about 70 attentions made to the tourist office of “Patronat de Turisme”, in the street Poeta Querol of Valencia, during the month of September. In total more than 2000 people. A considerable number of visitors if one takes into account that the office did not open 7 days a week until the month of August. The mayor of Serra, Alicia Tusón, who promoted the reopening of the tourism office very positively values these first figures. “We’re on the right track. We have to continue working to make tourism one of the engines of our development. ” The consistory of Serra, in the centre of the Sierra Calderona Natural Park, is making efforts to turn the motor tourism of the economy, both the tourism of mountain as the one that goes together with the patrimony and the culture. The city council has begun the recovery of the rich Andalusian heritage with which the municipality counts. 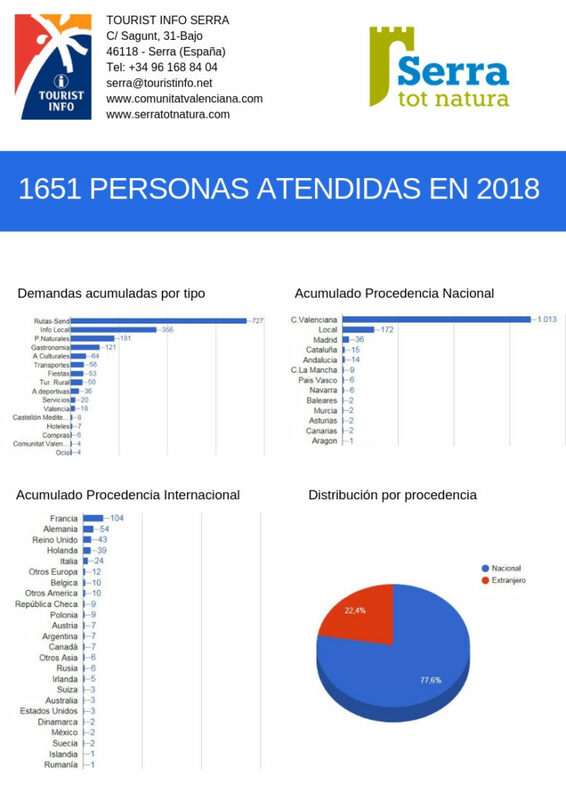 Of the 1651 attentions made, 77 percent correspond to tourism of national origin, of which more than a thousand are from the Valencian Community. 22% of the remaining attentions have been to people of other countries. France has been the country with the most visitors, followed by Germany and the United Kingdom. The vast majority of people have been looking for information on walking routes (727 people) in front of 356 who were looking for information about the urban area. Gastronomy has also been one of the priorities in search of information of the visitors. 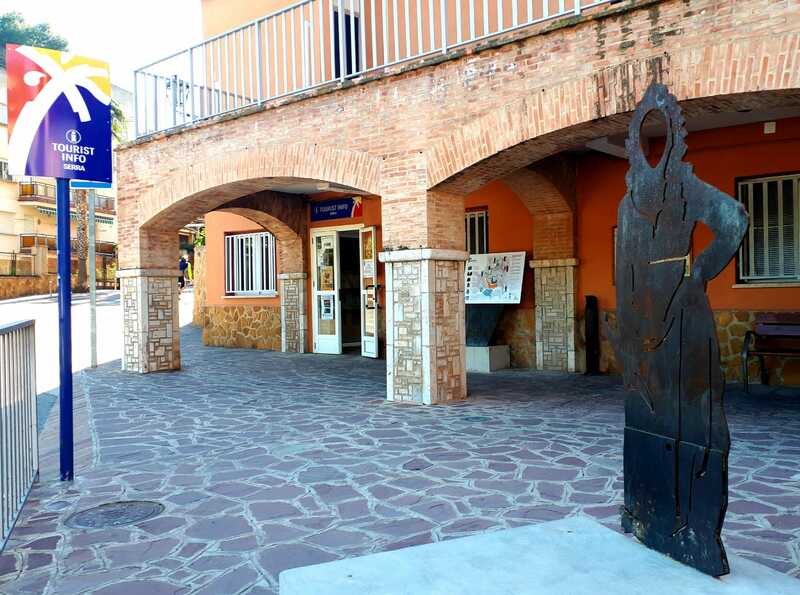 From the area of tourism of the city of Serra, activities are being carried out so that “visitors enter town, walk their streets and know all that Serra offers through the route of the sculptures” says the mayor, Alicia Tusón who says ” A part of nature tourism we want to add gastronomic, cultural and patrimonial tourism. ” In fact, in recent months Serra’s restaurants are in a great deal of luck for the accolades and awards they have received.